Have an empty corner in one of your rooms and you just can’t seem to find the right thing to fill it? This post is for you! Sharing easy and doable ideas for how to decorate an empty corner of a room! When it comes to decorating my home, it’s often the smallest things that give me the most trouble. I usually have ideas regarding furniture layouts and color palettes, but seemingly small things often leave me scratching my head. For example, I often have trouble knowing how to decorate an empty corner of a room. I usually feel like I want something in a corner, but don’t always know exactly what that something should be. So today, I’m sharing 8 easy ideas for how to decorate an empty corner! An accent chair is one of my favorite ways to decorate an empty corner of a room. It’s functional and a great use of the space! 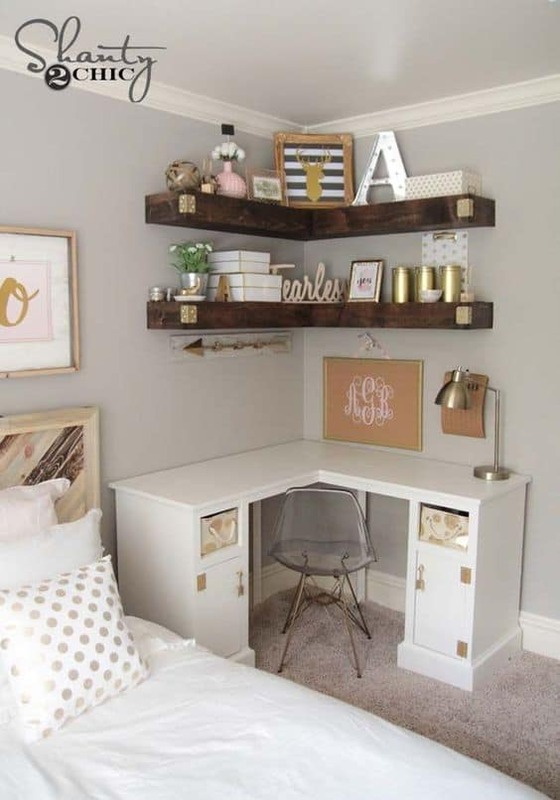 I love the idea of a corner desk to utilize an empty corner of a bedroom or family room! 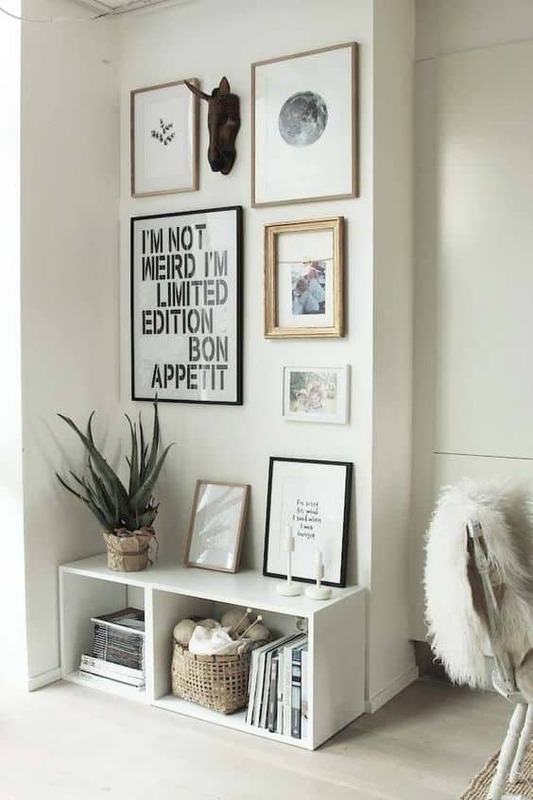 The corner shelves are another great idea and are perfect for pictures, mementos and even baskets for added storage space. 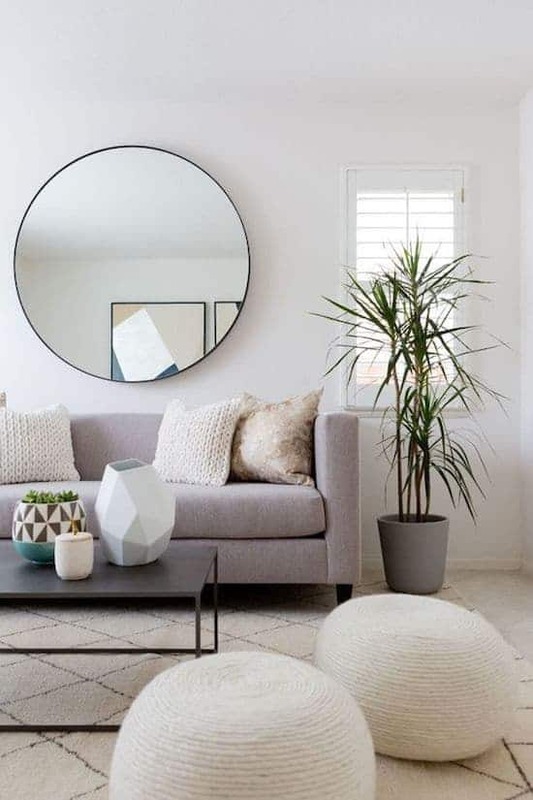 Plants are a fantastic way to breathe some life into an empty corner of a room. Choose a low maintenance plant, and place it in a decorative planter for the perfect addition of color and texture to your space! 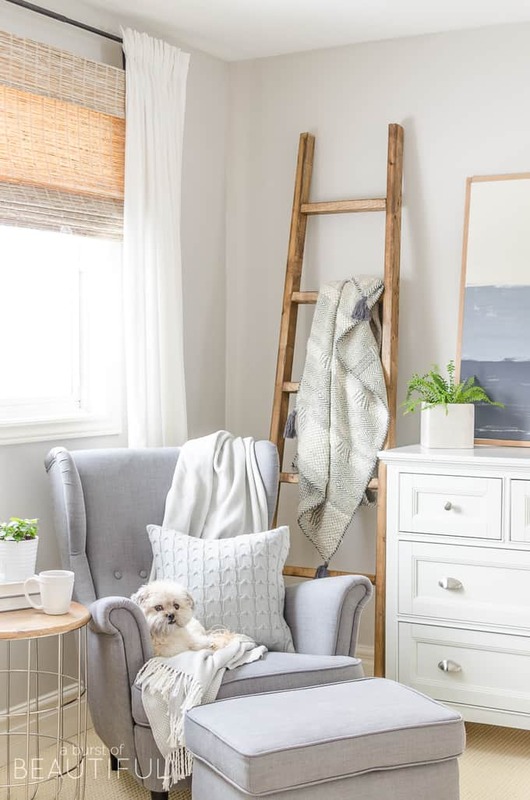 Blanket ladders are a rustic and gorgeous way to add some storage to an empty corner of your home. This blanket ladder is one of my favorites, and it comes in 6 color options. 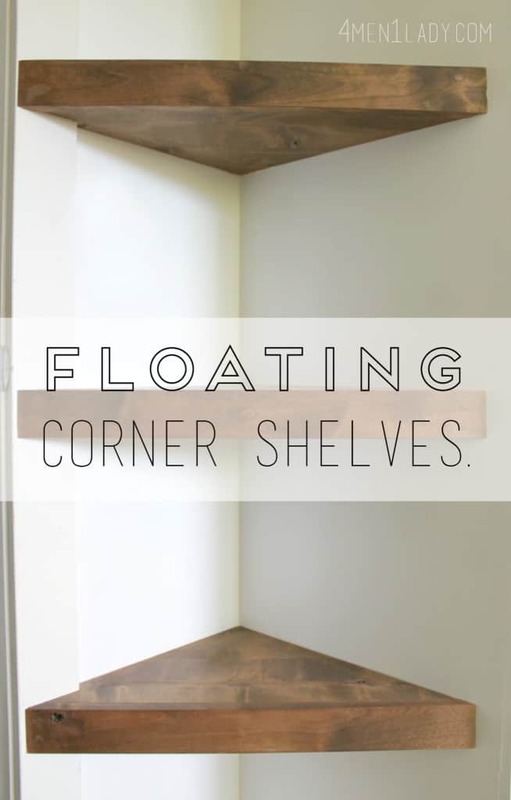 Corner shelves are a functional and easy way to add storage and decorative shelf space to an empty corner of a room. 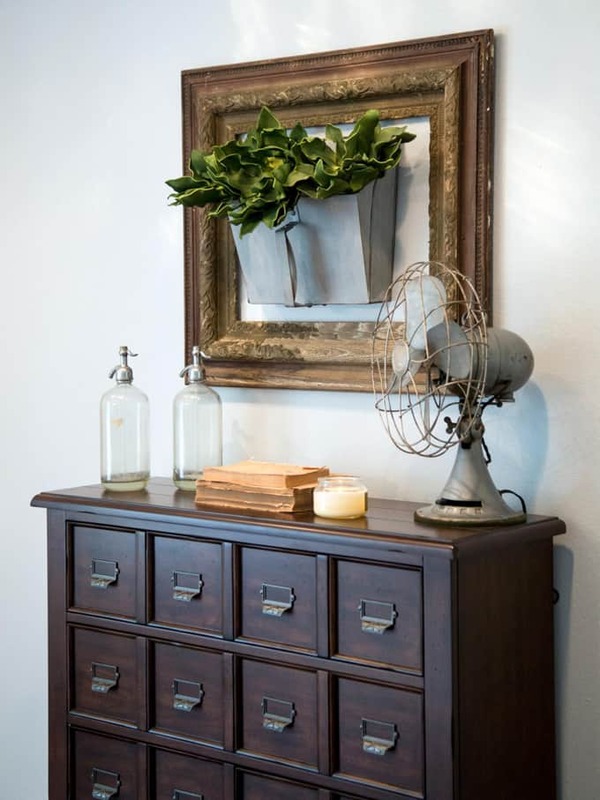 Plants, picture frames, trinkets and vases would all work well and add color and personality to your space. Baskets are one of my favorite empty-corner solutions. Baskets with lids are able to be stacked, and you can place a picture frame, throw, or tray on the top! I never would have thought of this, but a low shelf, plus some wall art, makes even the oddest corner of a room functional and attractive! We have plenty more decorating inspiration in our archives! 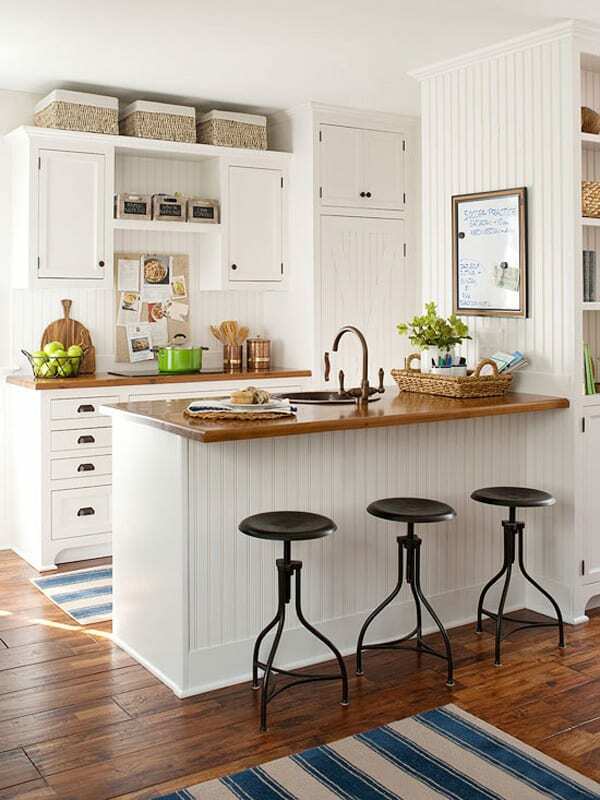 This post shares tips and tricks for decorating above kitchen cabinets (always a tricky spot)! 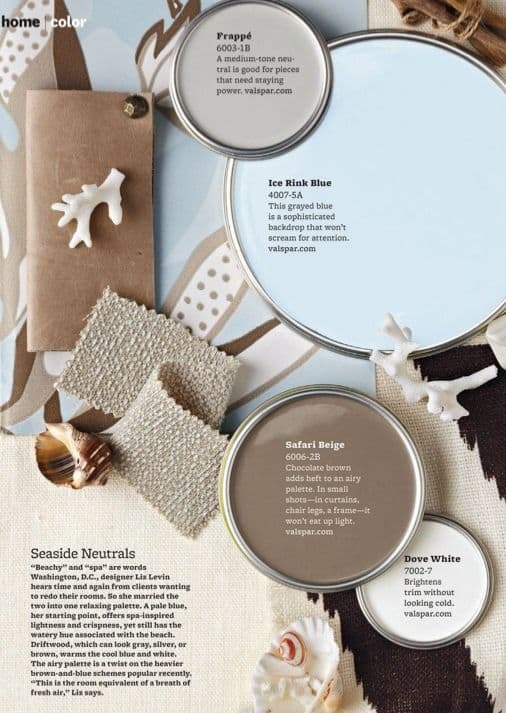 Here, you can find color palettes for your home to consider (beyond gray and white)! 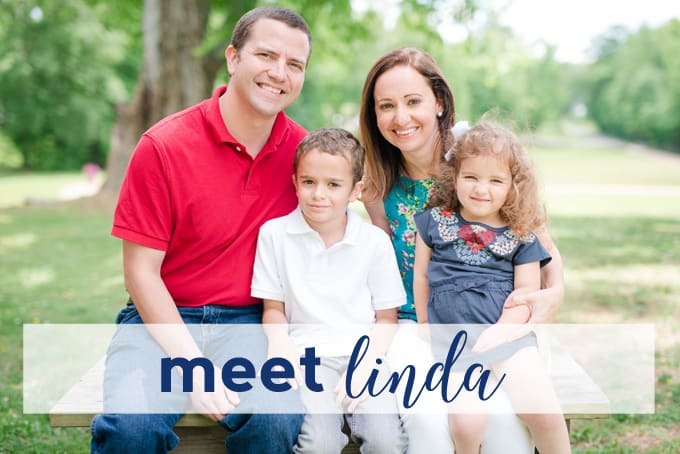 If you love the Fixer Upper look, this post has lots of Fixer Upper kitchens, living rooms and dining rooms to inspire! 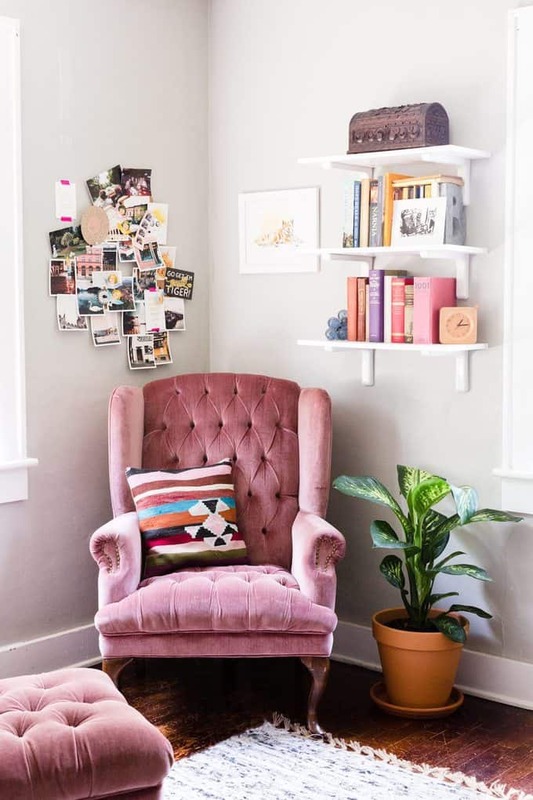 Thanks for reading all about How to Decorate an Empty Corner of a Room. Have a lovely day!